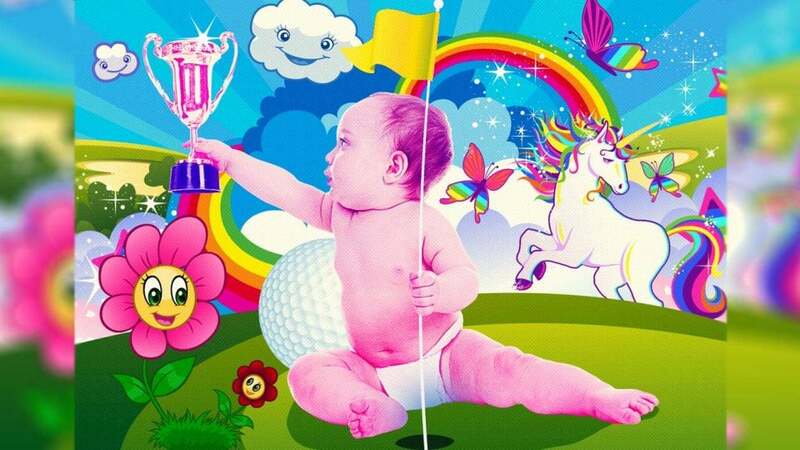 At times, the modern Tour feels like a bunch of babies grasping for a trophy. I hate to be the one to break it to you, but golf is going soft. Quite literally, as my plush FootJoy socks now come emblazoned with an L and an R, lest I can't figure it out on my own. The evidence is elsewhere in my golfing life: hybrids instead of long-irons; a laser to gauge yardages so I no longer have to schlep to a sprinkler head; balls that fly forever but refuse to be scuffed, no matter how thin I catch my 9-iron; performance fabrics to spare me my own sweat. An 18-hole slog from the tips was the old standard, carrying my bag every step of the way. Now even the ruling bodies are encouraging me to tee it forward and just play nine. As with many things in golf, the pro game sets the tone. It has even infected the caddies, who now get valet parking at some tournaments, for Pete's sake! Green reading was once a dark art, but every answer can now be found in those infernal yardage books, which have as many pages as a Tolstoy novel and are read at a similar pace. Having a good head of hair used to be a job requirement, but these days Tour caddies are paid to wear logoed caps. Even so, the most famous looper of recent times, Jim "Bones" Mackay, put down the bag in favor of an even cushier TV gig. Maybe he got tired of the pronoun "we"; Tour players now reflexively use it to talk about their "team." It sounds inclusive but really it's a shirking of the rugged individualism that made golf great. We didn't slice a drive off a hospitality tent on the 72nd hole to lose the U.S. Open...you did, pal. A kinder, gentler USGA has led to the wussification of our national championship. The rough used to be so long you could lose Corey Pavin in it; now it's "graduated" so wayward drives don't hurt anyone's feelings. The 18-hole Monday playoff was the last bastion of an old-school, macho ethos, but this year it was castrated to a mere two holes so no one is overly inconvenienced. Likewise, the win-or-go-home format of the WGC-Match Play was too Darwinian for modern times, so it has devolved into a round-robin where losing a match is okay and no one gets their pride bruised. Are they going to start handing out participation trophies, too? Given how soft players have become, it's surprising that Charmin isn't the official sponsor of the PGA Tour. At this year's Wells Fargo Championship, Bob Estes withdrew due to allergies. I like Estes and don't want to minimize his suffering, but Ray Floyd would've cut off his nose with a 1-iron before W/D'ing due to the sniffles. Similarly, do you think Ben F'ing Hogan would've worn shorts during practice rounds? Hubert Green won the 1977 U.S. Open playing through a death threat, and Jack Nicklaus spent years being heckled as Fat Jack by Arnie's Army, but now every noisy fan is in danger of getting tossed by a touchy-feely Tour pro. They are even bigger snowflakes on Twitter: Billy Horschel and Ian Poulter each has more blocks than Patrick Ewing. Warriors from the days of yore were masters of gamesmanship who often played in stony silence. Now, the players vacation together and post cutesy photos about it on social media. Nick Faldo won the Claret Jug three times but refused to take so much as one drink out of it, so deep was his reverence. There isn't an important trophy Rickie Fowler hasn't imbibed from, even if none of them are his. The chumminess plays out between the ropes: there is currently an epidemic on Tour of "backstopping," whereby players don't mark their ball on the green if it's in a spot that might help slow down a competitor's ensuing, misplayed shot. I'm stymied by the very thought of it. With the Open Championship returning to Carnoustie, I've found myself pining for the return of John Philp, the man David Duval called an "out-of-control groundskeeper" because of his tough setup at the '99 Open. Okay, the fairways were a little too narrow and the rough a wee bit too tall, but I've come to respect Philp's messianic vision. "Many of the players are simply not geared for it," Philp, now retired, said in 1999 in defense of his course. "One bad bounce and they moan.... The trouble is they have an ego problem. There is so much money in the game I think they're losing touch with reality. A lot of them have made no preparation for the world's greatest event. Who the hell do they think they are? This is serious." Indeed, it is. The battle for the soul of the game has only intensified since. Think very, very carefully before you add that 9-hybrid. This article originally appeared in the July issue of GOLF Magazine.